I’ve run a lot of machine learning/A.I. projects as toys, and even a few not very complex ones in production. Normally, they run on the CPU, and in only one instance did I use a GPU … the projects simply didn’t require it. Sometimes however, you come across something you need to try out, and it needs a STONKIN BIG MOTHA of a machine to really get its teeth stuck in. 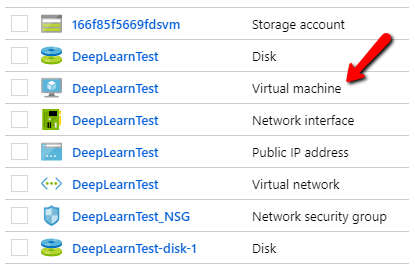 I had to do that recently and found the quickest way to get started was to spin up what I needed using the pre-configured Azure Deep Learning environment, then drop it when I was finished. No messing around with configuration/installs or other faffing about, just straight down to business. This article walks through the process that is actually rather pleasantly simple. 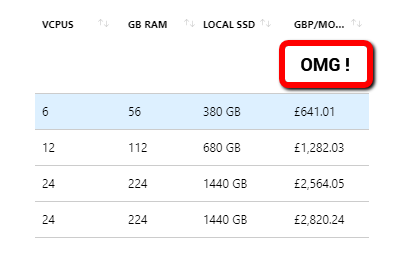 The pre-build environment we want sits in the Azure app marketplace. It can run both Windows and Linux, and when switched on, gives you immediate access to all of the popular Deep Learning toolkits including Tensorflow, Keras, MS Cognitive Toolkit, etc. You can find the setup link for the deep-learning environment in the app marketplace here. To get started, click on the ‘Get it now‘ button and then ‘continue‘ once you agree to the usual ‘sign your life away’ malarkey. You will next be redirected to the Azure portal and asked to start environment creation. Fill in the usual things like machine name, resources group, etc. and the next part of the fun is to pick the machine size, and <cough> price! …. A lot of times, we look at prices of tech as developers and gulp …. wow, expensive! …. well, it depends …. this is the cloud, and the promise of the cloud is you only pay for what you use. So, in my case, and I am sure yours, I only want to sign up the machine for perhaps 30 minutes, do my clever clogs Machine Learning on the GPU, and then delete the box … gone, never to be heard of again…. so actually, even the more expensive box listed, will only cost me a few dollars to spin up, use, and spin down again. After the usual few minutes of automation, the complete environment is up and ready to connect into!